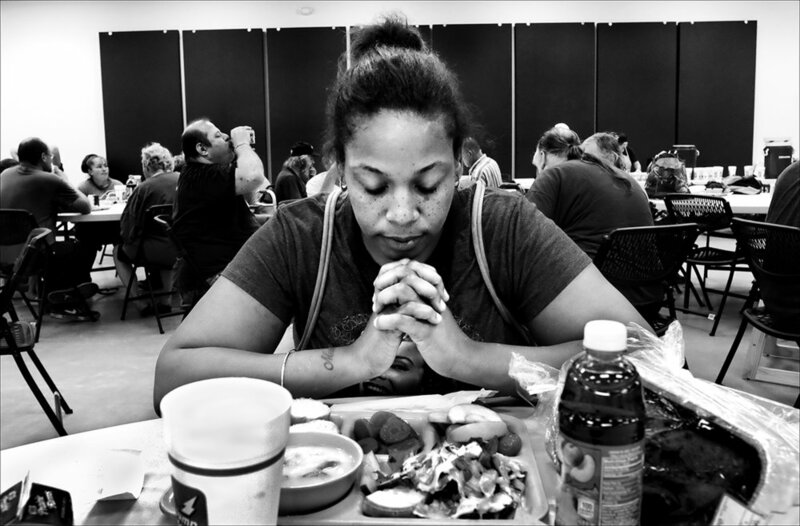 September 2016: Nakia says grace before eating lunch at the Horizons Soup Kitchen and Food Pantry in Quincy. Nakia says she is on the verge of homelessness. “I work at two different fast food jobs, and I’m a hard worker and a fast learner, but sometimes I’m only given five to nine hours a week between the two jobs. My babies depend on me,” she said. About a year later, after experiencing some financial stability, Nakia says her children were taken away by DCFS. She says she is woking towards getting her children back.